Manama: Saudi Arabia has launched its first locally assembled Hawk jet training aircraft in the latest breakthrough for the industry in the sector. 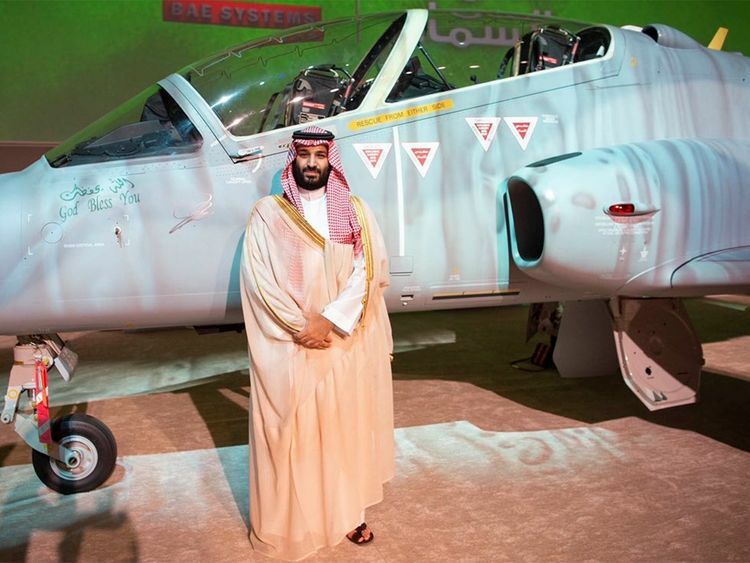 Crown Prince Mohammed bin Salman, the kingdom’s defence minister, unveiled the plane during a ceremony at King Abdulaziz Air Base on Sunday in the Eastern Province. The first aircraft was launched following a series of rigorous tests and Prince Mohammad, during the ceremony, gave the permission via radio to the pilot to take off. “In the name of God and with His blessings, go ahead and fly over the most precious land,” he told the pilot. The aircraft was one of 22 to be assembly by Saudi youth under a Saudi-British programme for transferring technology and training Saudis. The Saudi-British Defense Cooperation Programme, in collaboration with BAE Systems (BAE Systems), oversaw the training of Saudi youth with the participation of more than 25 national companies. According to the Saudi Press Agency (SPA), more than 70 per cent of the work force in the programme are Saudi nationals who have been trained by experts for more than two years. Other scientific projects under the Kingdom’s Vision 2030 include Saudi satellites and nuclear energy.